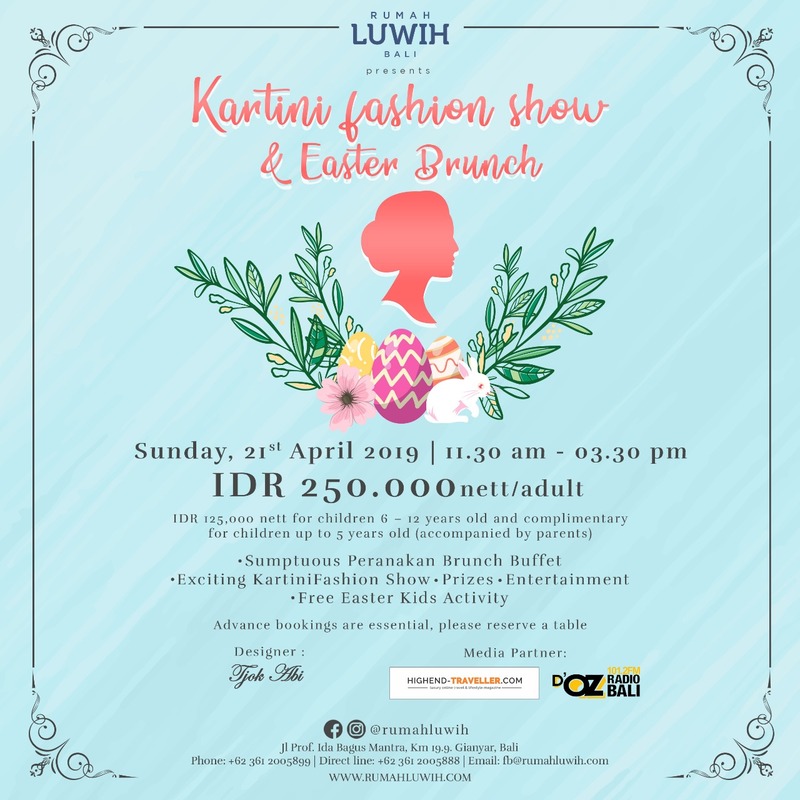 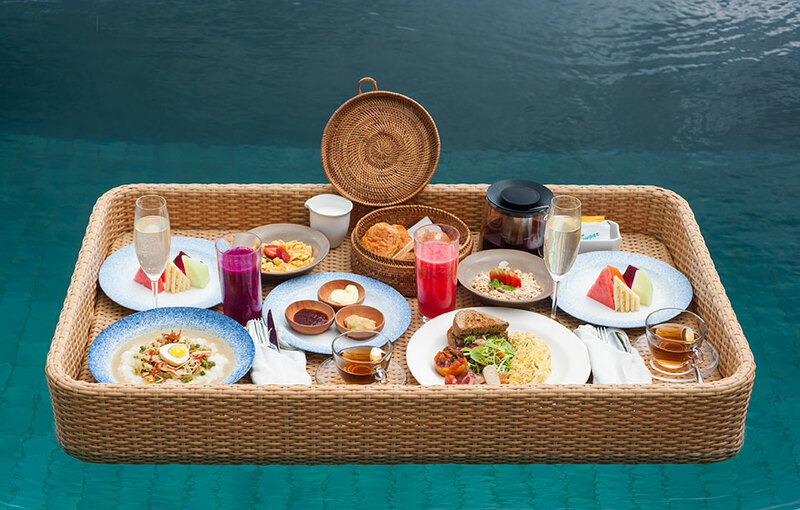 It’s that time of the year again when love and romance makes its way into the blissful island of Bali. 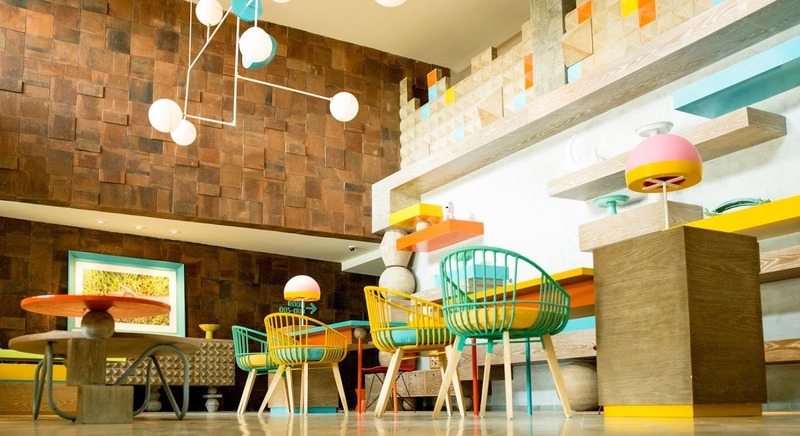 Whether single or with your partner, everyone can enjoy the different offerings we have lined up for Valentine’s Day at Double-Six Luxury Hotel’s Wine and Dine destinations. 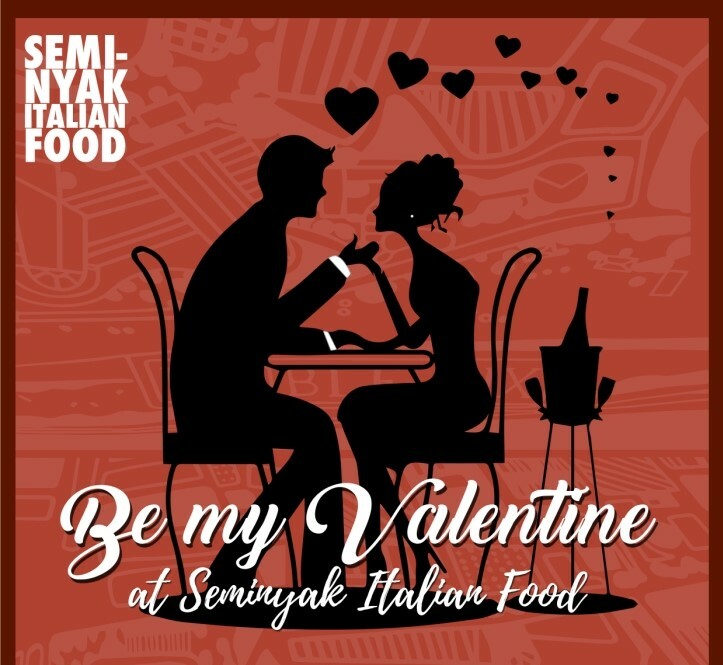 February 14 is the perfect time to spoil your partner! 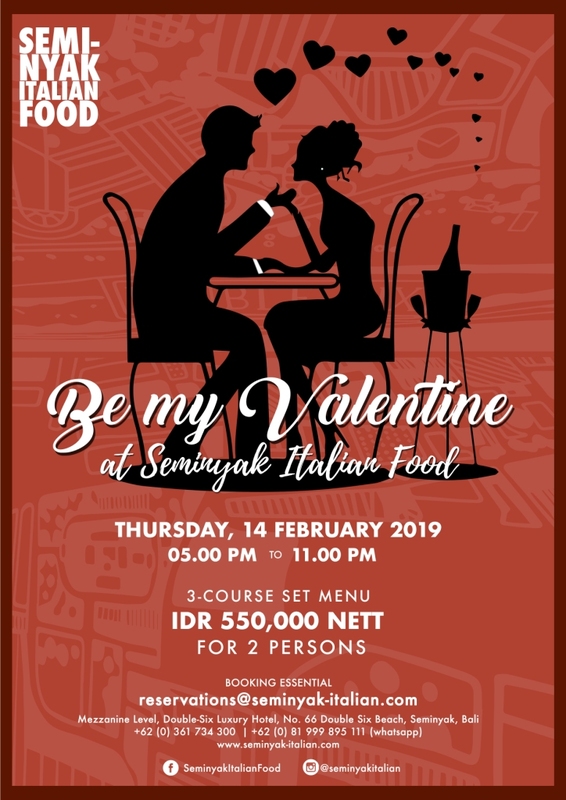 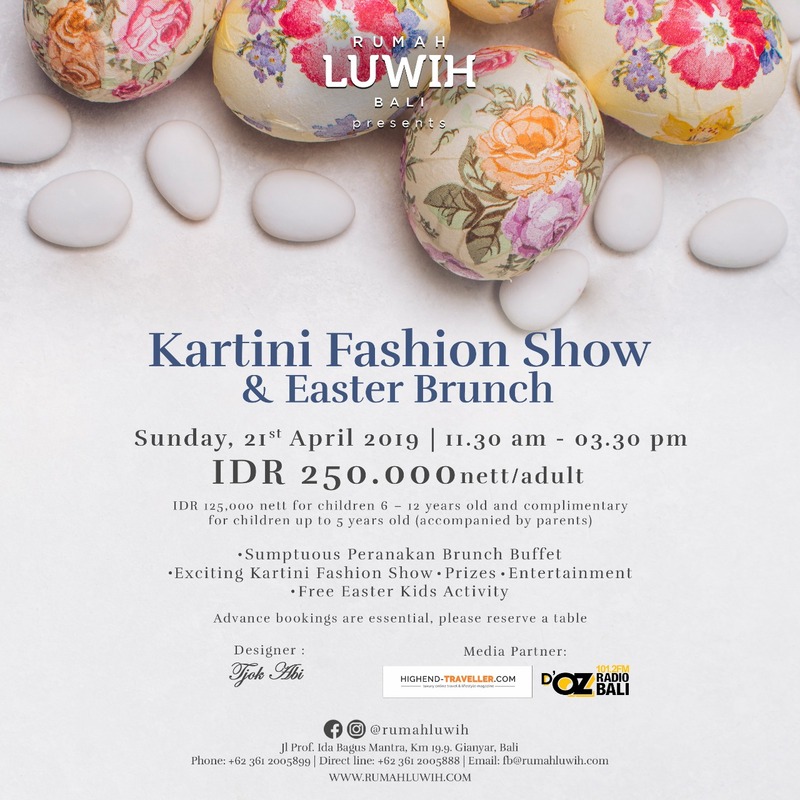 Start off with a romantic dinner—a choice of either casual Italian dining at SEMINYAK ITALIAN FOOD, with a reasonable set menu of two starters, four pasta dishes and two desserts to share, priced at IDR 550,000.00 for two persons. 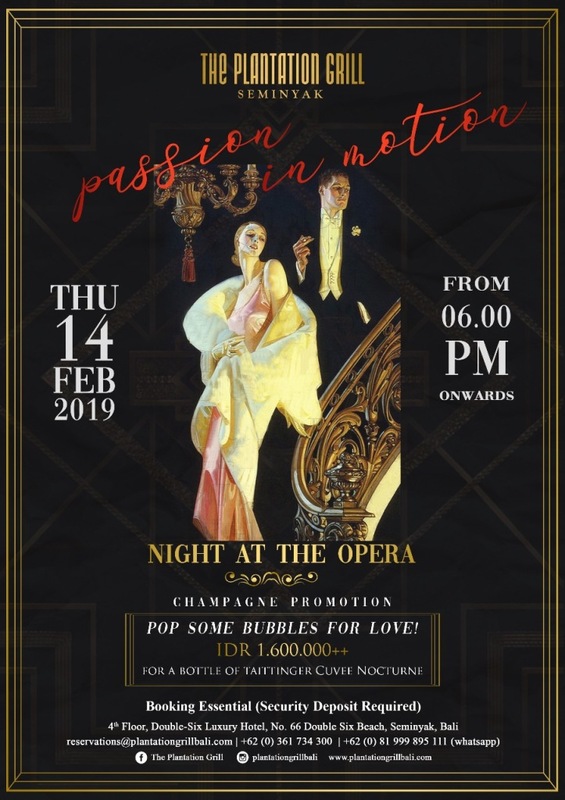 For a more sophisticated and intimate dinner, head up to THE PLANTATION GRILL SEMINYAK, where we have the live Soprano Singer, as well as a photobooth and roses for a memorable evening amidst the Gatsby-themed backdrop that is a PLANTATION GRILL signature. 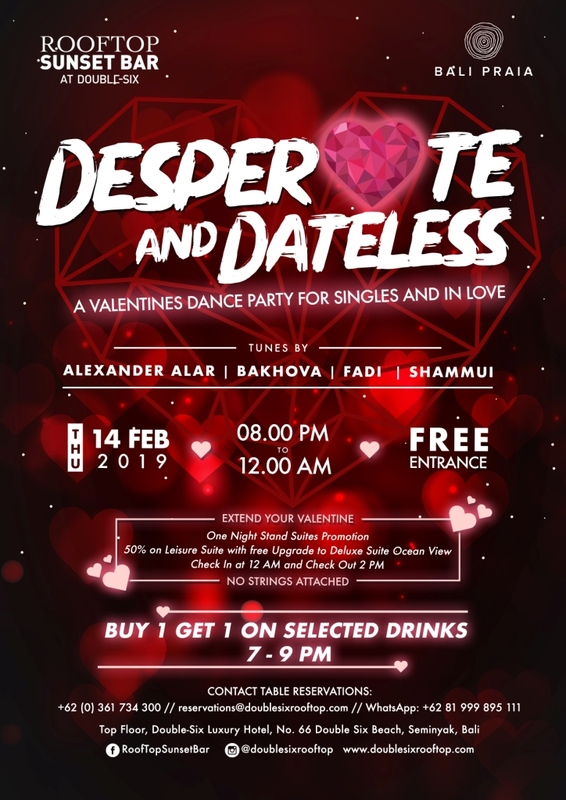 After dinner, burn off the calories with some dancing, as ROOFTOP SUNSET BAR throws a massive dance party “For the Singles and In Love.” Dubbed DESPERATE AND DATELESS, the night is packed with four DJs, playing from 8PM to 12 AM.